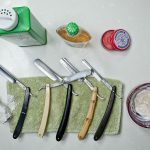 Shaving is a grooming task most men have to work into their routine in one way or another, and that doesn’t stop just because you are traveling. When on the go, it is important to cut down on the amount of stuff you are traveling with, as you don’t want to be bogged down with too much baggage or be forced to pay exorbitant baggage fees. This is where a high-quality travel shaving kit can come into play. 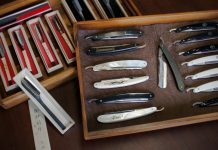 We’ll explore some of the best ones out there, as well as some tips on how to put together a DIY travel shaving kit all on your own. 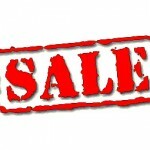 *The products are presented in a certain order, based on their price, from the highest to the lowest one. The Parker Travel Shave Kit includes a collection of items that should really appeal to any man, no matter his shaving needs. The leather bag comes with a classic design. 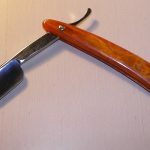 Moreover, it is durable for travel, and the shave products themselves are premium ones. 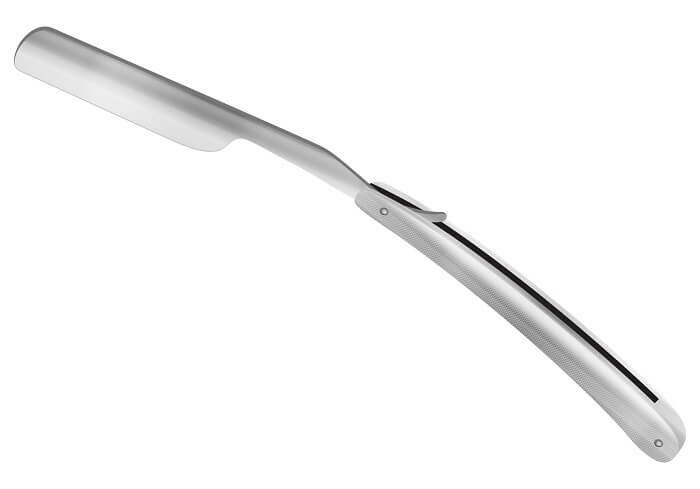 You get a travel safety razor. So, no need to worry about injury, and a shave brush and shave soap. It is basic in its line up but the manufacturer executed it beautifully. This is the travel companion for the man with classic, traditional tastes. 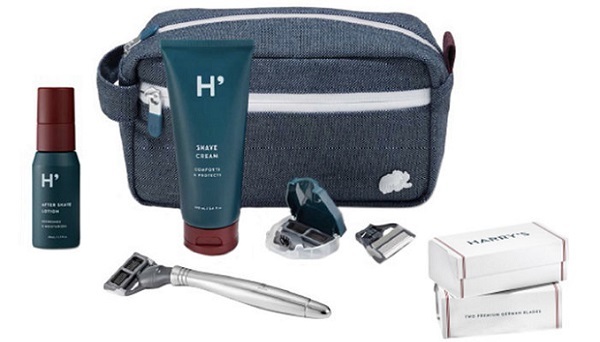 Harry’s is a brand of men’s products that exudes luxury, and this kit falls in line with that ideal. The set comes with a beautiful Dopp kit bag, in a stylish gray color, with five products inside. You receive the Winston Handle razor with a 5-blade cartridge, Shave Cream, Aftershave, 8 refill blade cartridges, and a travel blade cover. The Shave Cream comes in 3.4 ounces, and the Aftershave comes in 1.7 ounces. The Dopp kit bag is a water-friendly nylon material and was made in Italy. 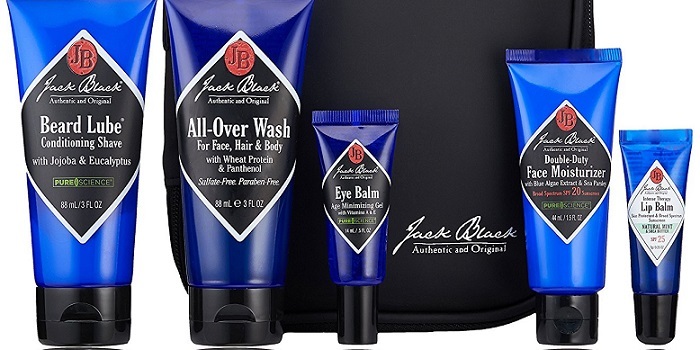 Like the Beard Grooming Kit, Jack Black’s Ultimate Shave set has everything a man on the go will need, and this set is designed for that close, all over shave. 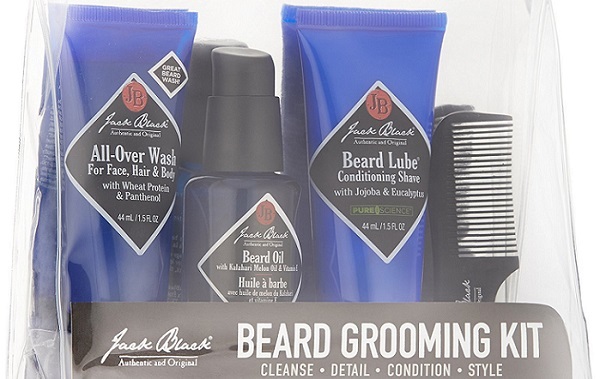 The set features the same high-quality products you can expect from the Jack Black line and includes Deep Dive Glycolic Facial Cleanser, Epic Moisture Nourishing Oil, Beard Lube Conditioning Shave, and Bump Fix Razor Bump & Ingrown Hair Solution. All of the products come in compact, travel size bottles, and come in a clear plastic sleeve case that you could use to permanently store the products. 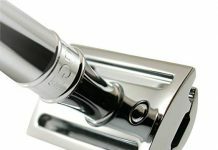 Jack Black is a body product company known for their high-quality skin products, and this extends to the shaving arena as well. 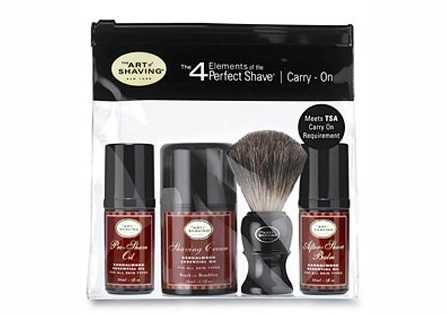 Their travel shaving kit includes everything you will need, in one compact, clear case. The Jack Black Beard Grooming Kit has an all over face wash, Beard Lube conditioning shave, beard oil, and a handcrafted beard comb. The items all come in easy to carry travel sizes. 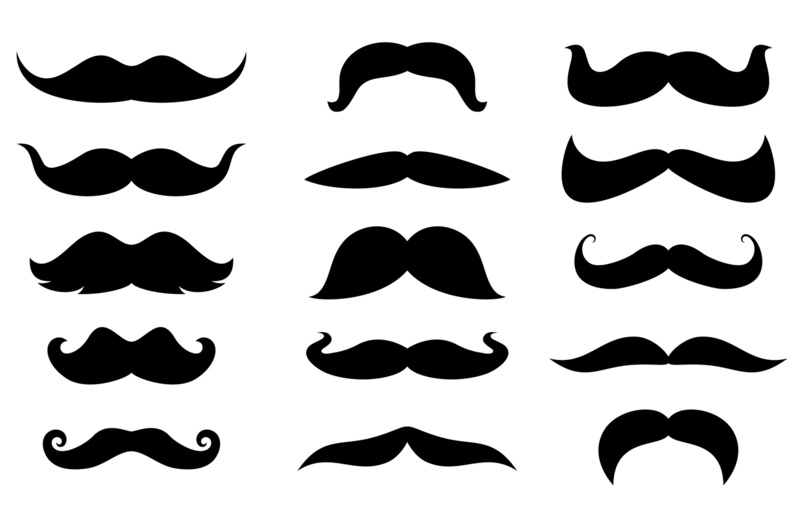 These products are designed with a man in mind that is grooming a full beard, and not as suited for men who want to shave their entire jaw line. 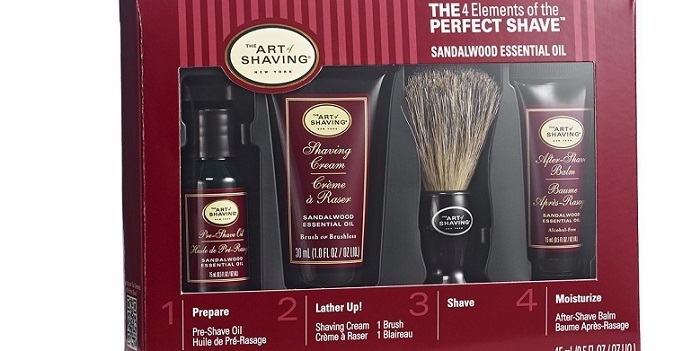 The Art of Shaving also offers a carry-on version of its 4 Elements of the Perfect Shave kit. The products come in a lavender scent or unscented. 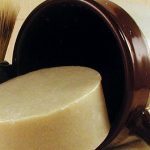 So, no worries for those who are scent-averse, and include pre-shave oil, shaving cream, a shave brush, and after shave balm. The brush is small and compact. Also, the liquid products are all in the one to a two-ounce range, making them perfect for travel. This would fit easily in your checked luggage or in a carry-on. 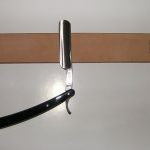 The Art or Shaving is a shop that specializes in a line of luxury shave products. As such, their travel shaving kit options are really top of the line. 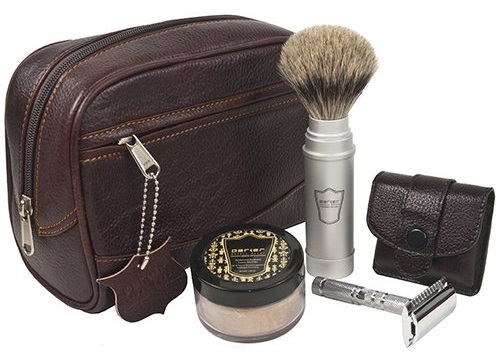 The Art of Shaving offers a line of carry-on kits perfect for travel shaving. 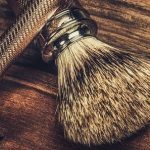 Each kit comes with a pre-shave oil pump, shaving cream pump, a badger shaving brush, and an after shave balm pump. Each product comes in a travel size that meets carry-on restrictions for airlines. Moreover, the kits come in the scents of lavender, sandalwood, lemon, and unscented. *This product is currently unavailable on Amazon. If you’re interested in purchasing this item, you should add it to your favorite products list. Then, the e-commerce platform will notify you when it is back in stock). 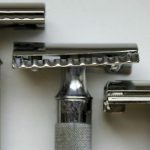 There are some wonderful travel shaving kit models on the market that you can consider. 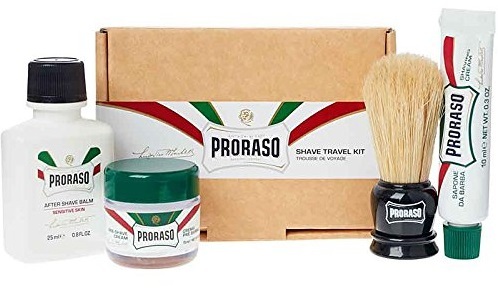 A travel shaving kit affords you better ease of travel. Also, it ensures you have everything for your grooming needs while away from home. 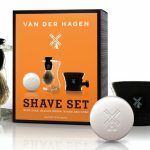 Consider the shaving travel kits already available for purchase, or take it a step further and put together your own. With so many options out there, there is no need to go without that daily shave just because you are on the go!